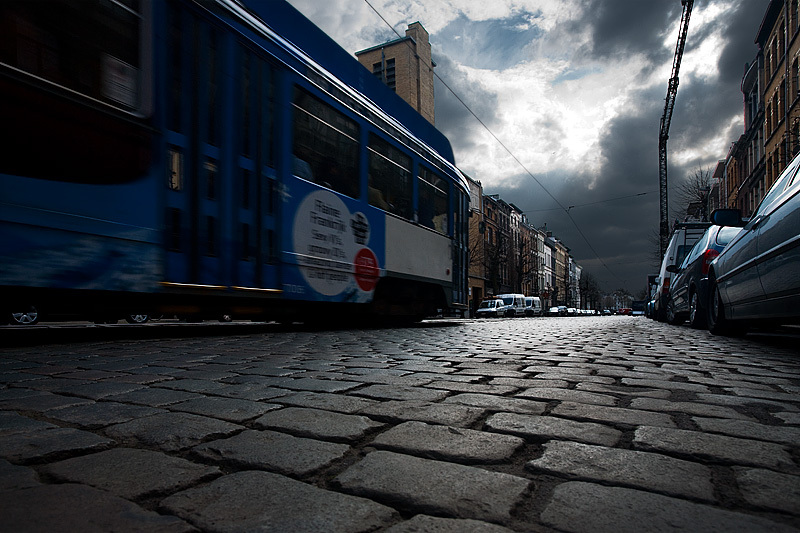 The tram barrels down Volkstraat's (@Sheldestraat) cobbled street. If there's one definitive thing that makes me feel like I'm in Europe, it's the sight of old cobblestone streets and the rumple of modern cars' tires as they tread over them. The overall ubiquity of public transportation, including trams, serves as another reminder that I'm in Europe. Doner kebab restaurants on every corner let me know with certainty that I'm firmly in Europe. You can probably judge by these clouds, the weather is very fickle in Antwerp. One minute it's sunny, the next, raining and near freezing temperatures. A climate like this wreaks havoc not only on my choice of clothing for the day but also the locked-in manual settings on my camera. As a result, I'm exposure bracketing like I've never bracketed before. 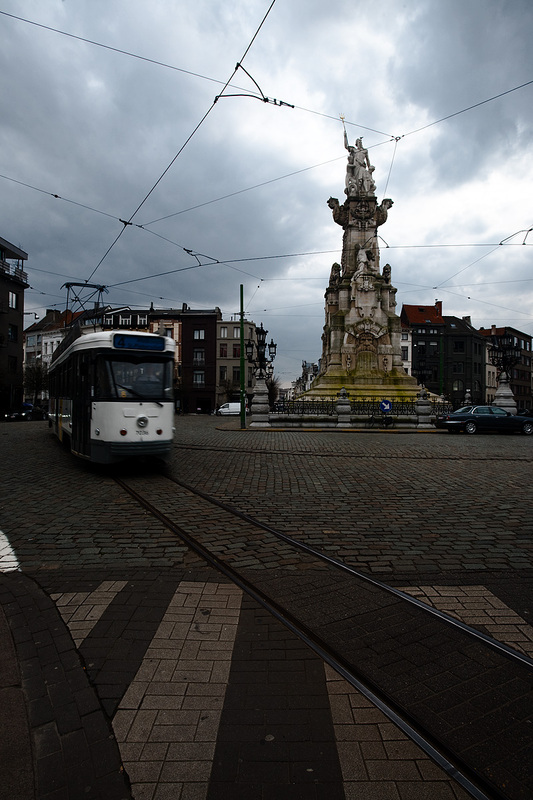 The number 4 tram drives around the center statue at Marnixplaats. If it weren't so cold, I would've gone up to read the statue's descriptive plaque, if one exists. I'll update this post when I get an idea what the statue is supposed to represent or commemorate. In the meantime, let's just assume that it's the god, Neptune, waving his trident to demand dinner from his overworked wife.